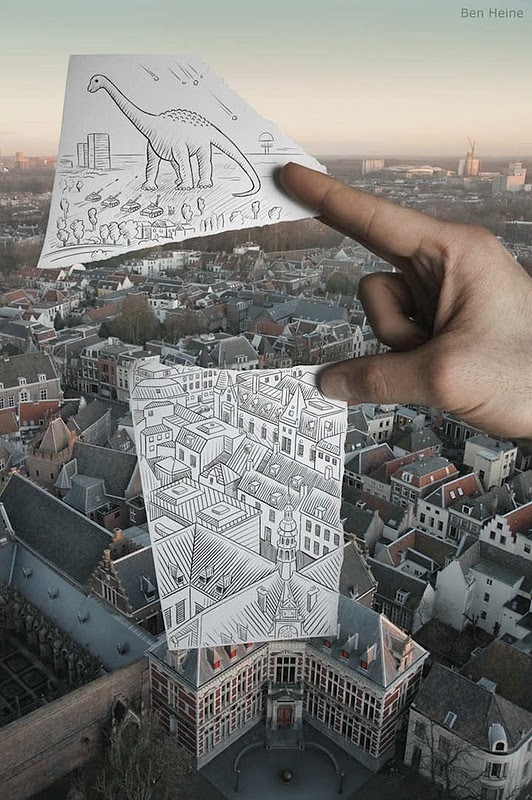 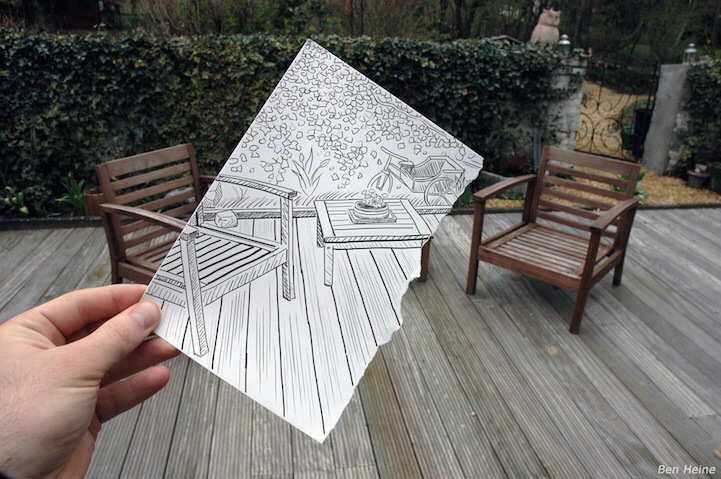 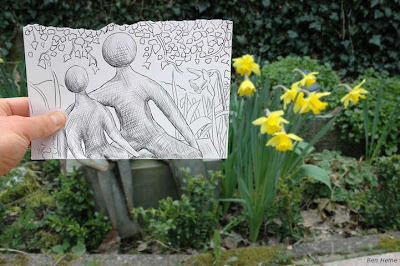 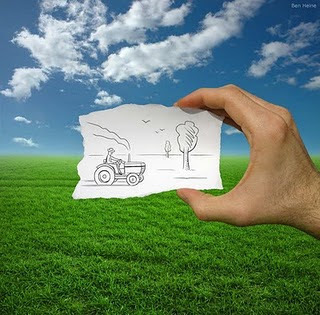 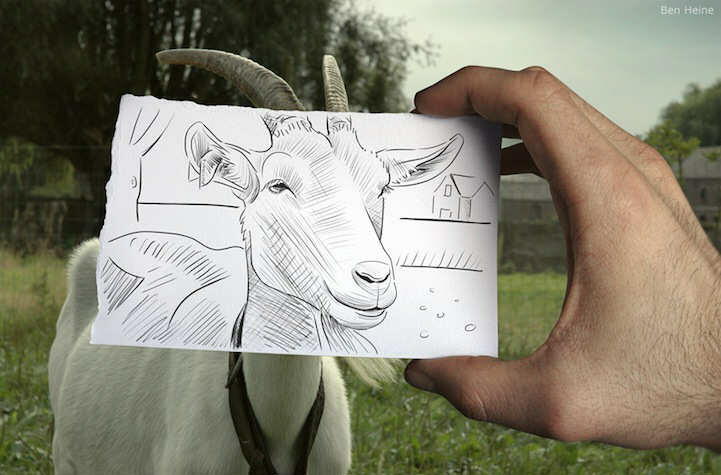 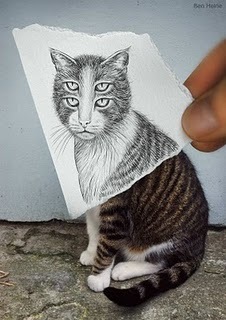 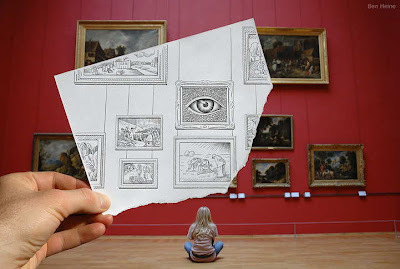 Belgian-based artist Ben Heine sketches scenery around him. Why is he different than other sketch artists? 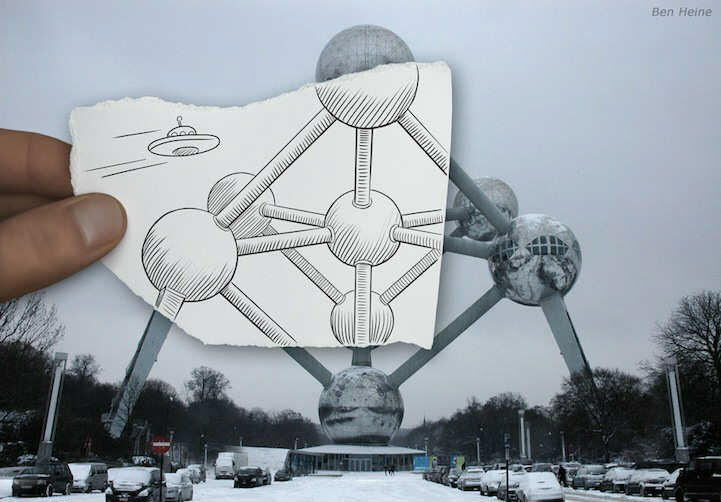 Ben takes photographs of his drawings and symmetrically places them on top of the original background, causing a cool visual effect. 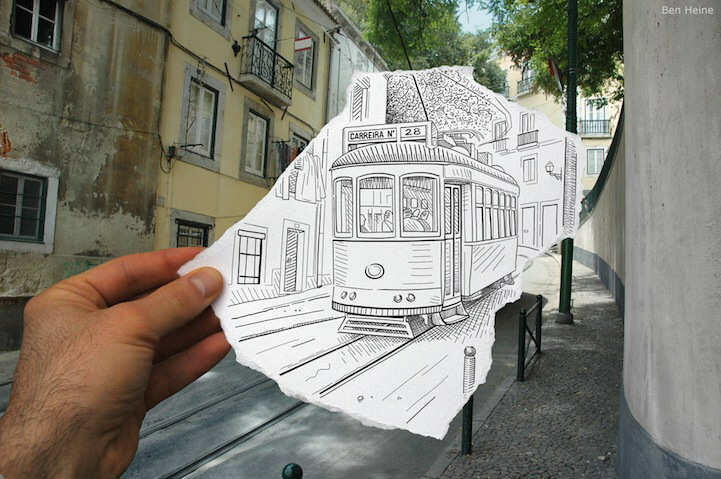 He calls the series, "Pencil Vs Camera."